Special Artizan Services Miniatures haben zusammen mit Sarissa eine Reihe moderner MDF Geländestücke entwickelt. Its been VERY difficult for me to keep this a secret and now Im given permission to give you all a sneak peak. 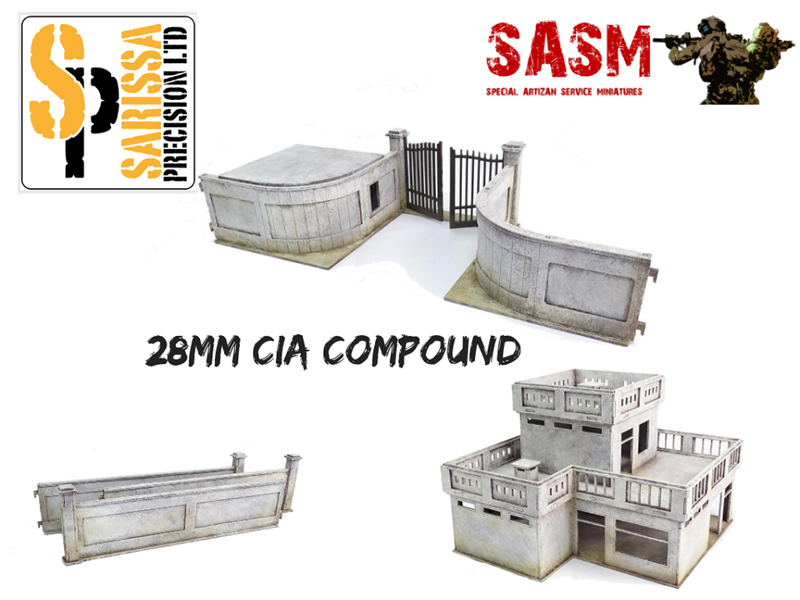 Sarissa Precision and Special Artizan Service Miniatures have partnered together to bring you a first of many, 28mm Modern buildings produced in MDF. The first set is modeled after a famous Compound in Libya. Price and availability will be released next week.